The Hotel Arc De Triomphe is located in Paris 300 metres from the Étoile and Avenue des Champs-Elysées. It has air-conditioned rooms with lift access, satellite TV and free Wi-Fi. 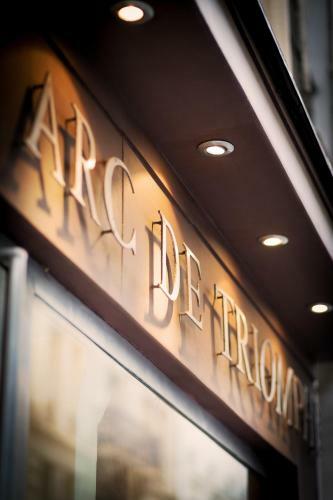 Guests of the Arc De Triomphe can enjoy a buffet breakfast, in the dining room. 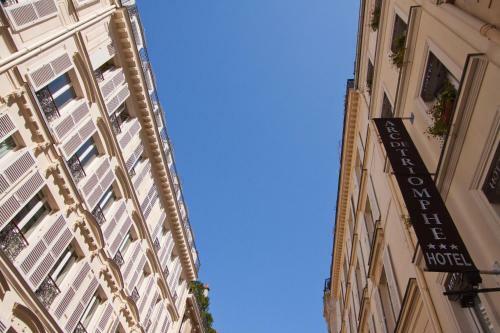 The Arc De Triomphe offers a 24-hour reception and public parking is available nearby at an extra cost. From Charles de Gaulle – Étoile RER and Metro guests can quickly access La Défense, Louvre – Rivoli Metro and central Paris. For reservations of 5 rooms or more, special group conditions apply and a non-refundable deposit of 30% of the total reservation is required. 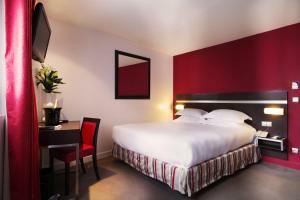 Free Wi-Fi access, cable and satellite TV and a minibar feature in this air-conditioned, en suite room. 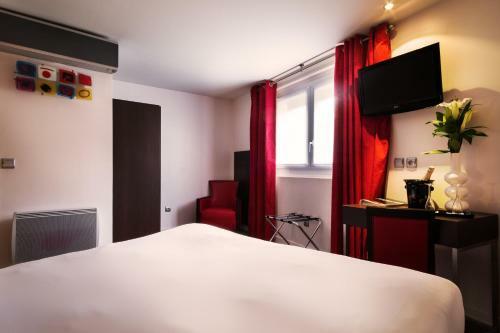 Rate: € 140.80 ... € 444.00; select dates below to get current rates. Rate: € 155.89 ... € 434.00; select dates below to get current rates. This family room features a soundproofing, minibar and satellite TV.